This game is from Minute to Win It. This game is played with teams of 2 players each. 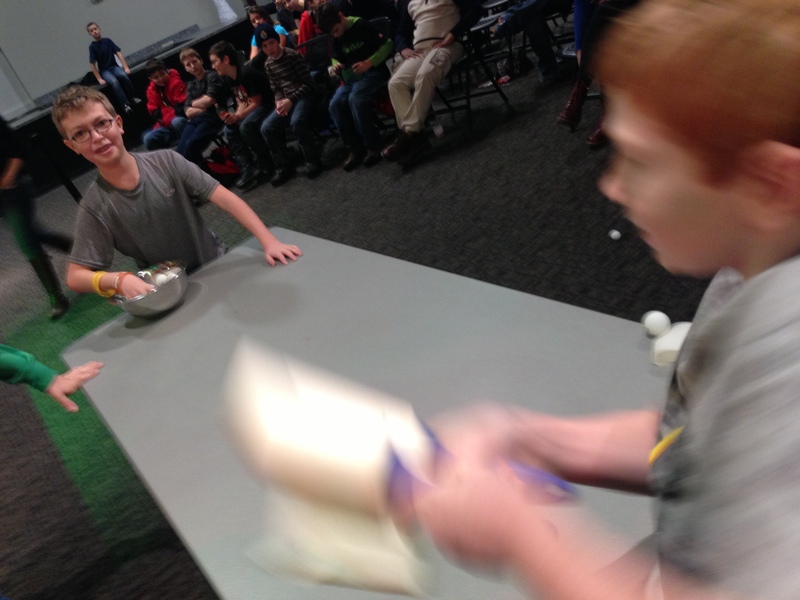 One player bounces ping pong balls across the table to their teammate who is holding two lint rollers. That player is trying to catch the balls by getting them to stick to the lint rollers. 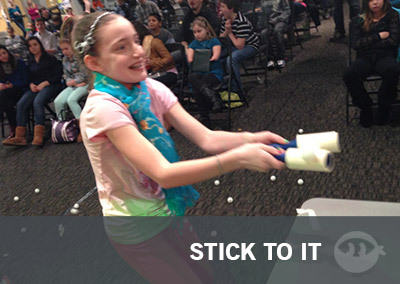 Whichever team has the most ping pong balls stuck to their lint rollers at the end of 30 seconds wins! 1. Ping Pong Balls. Buy a whole bunch of them because each team will need enough to rapid fire them across a table for 30 straight seconds. 2. Lint Rollers. You’ll need 4 of these if you’re playing with 2 teams at a time. Not much prep involved with this game. Just set up two tables, put a bowl of ping pong balls at one end of each table, and put two lint rollers at the opposite end. That’s it. This game is played with teams of 2 players each. 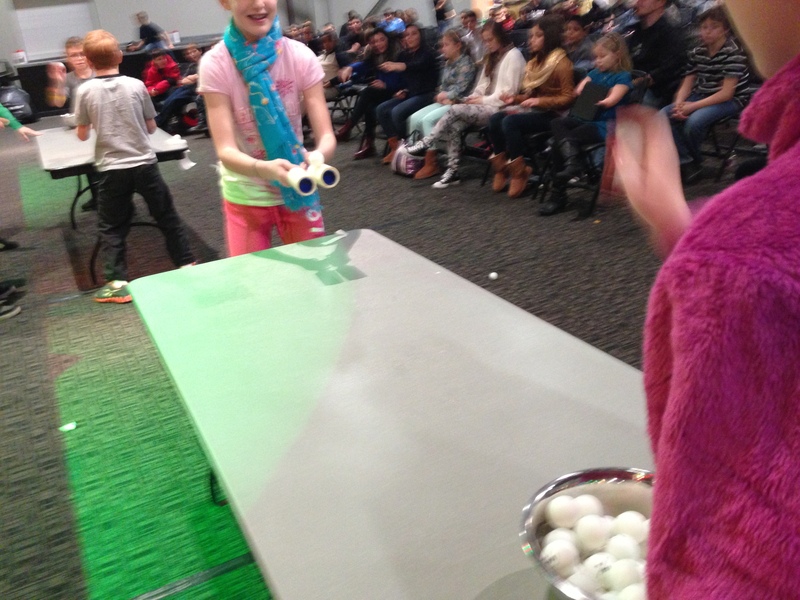 One player bounces ping pong balls across the table to their teammate who is holding two lint rollers. That player is trying to catch the balls by getting them to stick to the lint rollers. 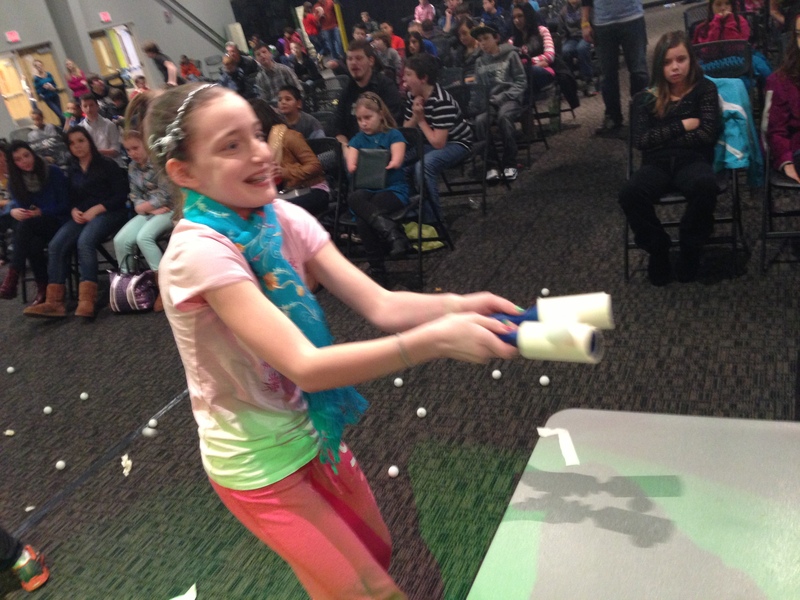 Whichever team has the most ping pong balls stuck to their lint rollers at the end of 30 seconds wins! There really are no other rules, I don’t remember any issues of possible cheating. As long as they continue to hold a lint roller in each hand they can try any technique to get the balls to stick to them. Also, the balls can bounce multiple times on their way across the table.